As the iconic Notre Dame Cathedral in Paris continues to burn, bystanders have gathered outside the centuries-old Catholic church to sing hymns. 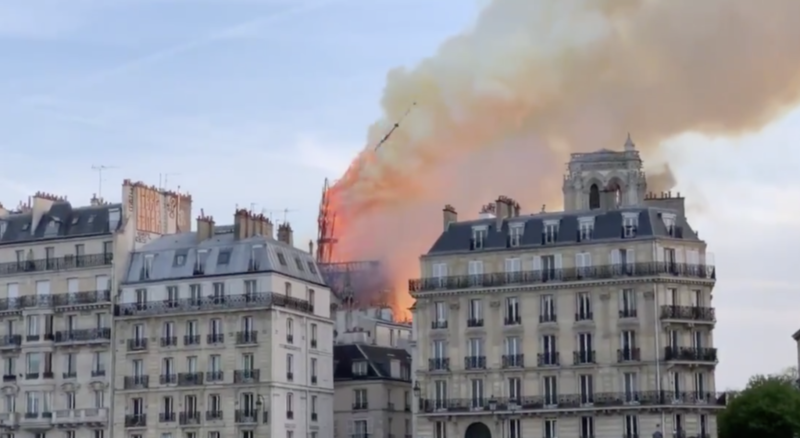 French President Immanuel Macron is treating the devastating fire as a national emergency and state fire services have said they’re “not sure” the flames can be stopped. French reporter Mark Owen said people are gathered near the fire singing “Ave Maria” and other Catholic hymns. Owen went on to say there’s a theory about the fire. He said he’s hearing reports the flames may have been caused by “the renovations going on somewhere in the roof. At this point, still uncertain how much damage will be done when the fire is finally stopped, rebuilding is estimated to cost several billion dollars.